A large round vase holds a bright-hued bouquet, sure to cheer the lucky one who receives it. 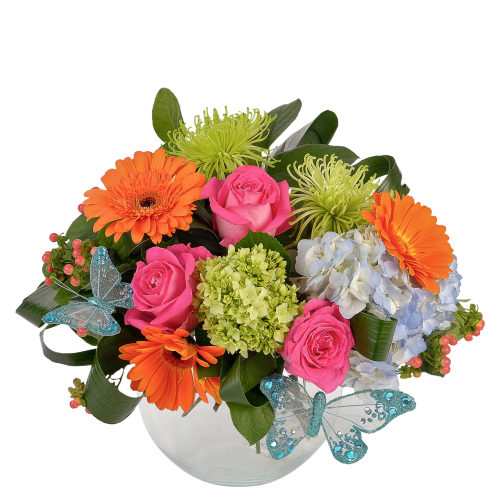 There are bright pink roses, orange gerbera, green and blue hydrangea and green Anastasia chrysanthemums. Hypericum and aspidistra are added, and two pretty blue butterflies complete the happy display.